“You are going to hell for this!” I was astonished by what I was hearing. Eyes burned with hot anger while looking at me. All I had said was that I was a pastor, and this was the response. This happened a few years ago, yet responses like this from some people are not a new thing. Many people feel very strongly about this topic, Women’s Ordination and even Women in Ministry. It’s very interesting to think as to why it is such a hot topic? Does it really matter who God chooses to use? Perhaps it has to do with our perception of what ordination means, and even what the title “pastor” really is all about. Therefore, it is a must that we look into the history of where ordination, especially the way we practice it today, came from. First of all, I will take a brief look at the history of women in ministry within the Adventist denomination, since this is where this hot topic is being discussed primarily at the time. Secondly, I will focus on the rise of the modern-day pastor and the history of ordination, and will ask the question of whether these two categories are Biblical, especially in the way we recognize and practice them today. Once again, as I have stated in my first 2 blogs on this subject (Ordination Part 1 – Biblical, and Ordination Part 2 – Spirit of Prophecy), it it not my intent to cause any controversy, but rather for us to prayerfully consider God’s take on this whole subject. From the very beginning of the Adventist church, women were very prominent in leadership, pastoral work, and preaching. This will be a brief overview of some of these prominent women. Lucy Maria Hersey was one of the first women preachers who at first travelled with her father and spoke with such effect that “the people soon obtained the courthouse for her.” Her ministry was lengthy and fruitful “and included the conversion of several men who took up the preaching of the advent message.” (Women in Ministry, p. 219). “Preachers that oppose female laborers can shut up their houses, and refuse to give out their appointments; but they can’t shut up the private houses, or school-houses, and they cannot hinder others from giving out appointments; so there is no danger of shut doors or the way being hedged up…Doors opened, and I moved on, with sword in hand and the gospel armor on, with loving all and fearing none. I knew in whom I believed, in whom I trusted, and who had sent me out. My mission was from heaven, not from man. My faith stood not in the wisdom of men, but in the power of God.” (Life Sketches and Experiences, p. 163-164). Hetty Hurd Haskell – Married to Stephen Haskell, trainer of Bible workers, gained a reputation for being a “powerful preacher”. Lorena Florence Faith Plummer – Probably the most notable. Elected secretary of the Iowa Conference in 1897. “In 1900, when Clarence Santee was called to California, she became acting conference President.” From 1913 until her retirement she headed the Sabbath School Department of the General Conference. By 1878, “at least three women ministers had been licensed to preach. these were followed by others – more than 31 women who were recognized by the church and licensed to preach between the years 1872 – 1915, the year of Ellen White’s death.” (Women in Ministry, p. 220). This was discussed…and referred to the General Conference Committee. The committee consisting of George Butler, Stephen Haskell, and Uriah Smith, weren’t sure if it were the right time to ordain women. But the very fact that they were discussing it shows that there was an openness of mind to women being pastors, even though it was in the late 1800’s. These have been just a few of the women in early Adventism. It’s very interesting to note also, that after Ellen White’s death, a dramatic decline took place in women’s involvement in ministry and licensing to preach. In fact, by the 1940’s, they had all but disappeared from conference leadership. 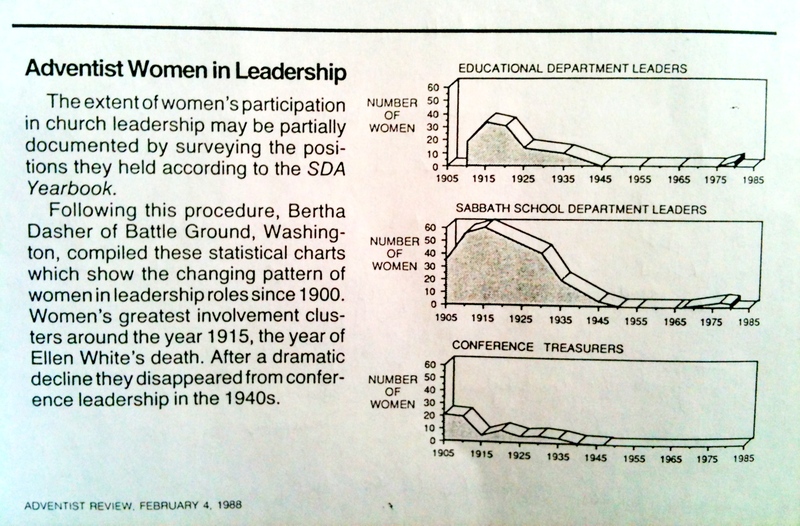 “Part of the reason for this decline was the requirement, voted in 1923, that every department leader should be a soul winner, with previous success in evangelism, and preferably ordained.” And, as we know, women can do the first two requirements, but as for ordination, that has been on the waiting list since 1881. Do we really believe the Biblical fact that ordination does not have any magical elements in itself? Then why are we making such requirements? The only biblical reference for the word “pastor” is found in Ephesians 4:11 where it mentions gifts given to the church, and “pastors” is one of these gifts. This gift, “pastors”, is put within the same context as that of “teacher”. Not only that, but it is written in the plural, meaning that there are many who have this gift, not just one superior person. There is no where in the Bible that supports the practice of a solo pastor heading up the church. As George Barna and Frank Viola state in their book Pagan Christianity, “So prevailing is the pastor in the minds of most Christians that he is often better known, more highly praised, and more heavily relied upon than Jesus Christ Himself.” (Pagan Christianity, page 105-106). 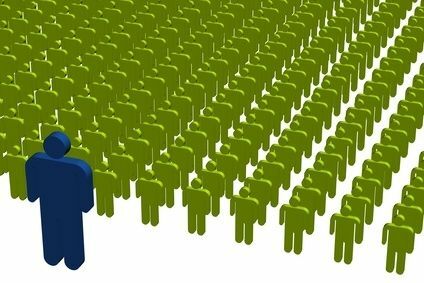 – Man’s Desire for Hierarchy – Since the fall of man in the Garden of Eden, humanity has struggled with the quest to have a hierarchical form of leadership (meaning a human leader from the top down). Starting with Moses, the people wanted to hear only from him instead of hearing from God for themselves (Exodus 20:19). God, respecting human choice, granted them their requests, not only in that matter, but with the desire for a king to rule over them instead of being under the leadership of God (1 Samuel 8). Anytime people would put a human at the helm of where God meant no human to be in control of others, there have always been issues. Throughout Israel’s history within Bible times, there was always a struggle for humanity to put another human in the place of God, with God always trying to point humanity back to a trust and reliance upon Himself, and not on another human being. – Ignatius of Antioch – Ignatius was the first person who began to elevate a few people over the others within churches. He began by elevating one of the elders in each church above all the other elders. And then this higher elder was given the name “bishop”. He wrote extensively about the exaltation and importance of the bishop’s office. It was Ignatius who presented the ideology that the bishop alone could conduct baptisms, facilitate the Lord’s Supper, approve marriages and preach sermons. The other elders were seen as helpers to the bishop, with the bishop carrying all power and authority over the others. Ignatius believed that this type of system, patterned after the political structure of Rome, would help to keep heresy from creeping into the church and would help create church unity. This type of structure within the church started out small, but by the end of the 3rd Century, it had spread everywhere. After some time, the bishop was the only one responsible for teaching others about faith, Christianity, etc. The congregation, which had at one time been active, now was a passive group watching the bishop perform. This position, “bishop”, was the forerunner of the contemporary pastor. – Clement of Rome – Clement of Rome was the first Christian writer to make a distinction between leaders and non-leaders within the body of believers. “He was the first to use the word laity to distinguish people from the ministers. Clement argued that the Old Testament order of priests should find fulfillment in the Christian church.” (Pagan Christianity. pg. 113). By the 3rd Century, the laity were considered second-class, untrained Christians. As theologian Karl Barth said, “The term ‘laity’ is one of the worst in the vocabulary of religion and ought to be banished from the Christian conversation.” (Ibid. pg. 122). – Tertullian – Tertullian was “the first writer to use the word clergy to refer to a separate class of Christians.” (Ibid. pg. 113). (It is interesting to note that the New Testament never uses the words clergy or laity, and “does not support the concept that there are those who do ministry (clergy) and those to whom ministry is done (laity).” By the 3rd Century the clergy/laity gap was “widened to the point of no return.” Clergy were seen as the specially trained leaders of the church, while the laity were seen as being “lesser mortals” that did not possess as great of gifts as the clergy. This false perception led to the “profoundly mistaken idea that there are sacred professions (a call to “the ministry”) and ordinary professions (a call to a worldly vocation).” (Ibid. pg. 122). And, as we know, this perception is still alive today. – Cyprian of Carthage – A pagan orator and teacher of rhetoric, converted to Christianity, yet held onto some of his pagan customs and ideas, and brought back the “Old Testament economy of priests, temples, altars and sacrifices.” Bishops began to be titled “priests” and sometimes “pastors”. He even stated that the succession of bishops could be traced back to Peter – thus the term “apostolic succession” came into being. As a writer, Cyprian refered back to the Old Testament priesthood to justify this practice. “Like Tertullian and Hippolytus before him, Cyprian used the term sacerdotes to describe the “presbyters” (another name for elders) and bishops.” (Ibid. pg. 115, 116). Cyprian created the idea of sacerdotalism (the belief that there is a divinely appointed person who must mediate between God and people). – Council of Nicaea – Bishops delegated the responsibility of the Lord’s Supper to the elders, and because this was all they now did, they (the elders) began to be called “priests”. In many cases, the bishop then came to be regarded as the “high priest”, and even began to forgive sins. All of these titles and positions began to overshadow the fact of the New Testament’s reality that all believers are priests unto God. Instead, all believers began to put their eyes upon another human being as their leader, instead of on God. – By the 4th Century – The clergy caste was now dominate. The bishop at the top, followed by the presbyters (elders), followed by the deacons, and under all of them were the laymen. “The one-bishop rule became the accepted form of church government through out the Roman Empire.” (Pagan Christianity, pg. 115). By the end of the 4th Century, bishops were even more exalted. Constantine was the first to give them great privileges – becoming involved in politics – which of course separated them even more from the other church offices and the common man. – Constantine – It was an advantage to be a Christian under Constantine, and even more so a bishop and clergy. Constantine ordered that the clergy receive fixed annual allowances (“ministerial pay”) and exempted them from paying taxes. He did many other favors for the clergy, insomuch that many people suddenly felt “called to the ministry” during this time – which then become more of a career than a calling. – 5th Century – The concept and practice of the priesthood of all believers was pretty much gone from Christianity at this point. “Access to God was now controlled by the clergy caste…Eventually, the bishop of Rome was given the most authority of all, and his position finally evolved into the office of the pope.” (Ibid. pg. 118). – The Reformation – After years of being under this Roman organization within the church, the Reformation came about. Many reformers began to bring back the biblical aspect of the New Testament, not only in regards to grace, but also in regards to who and what exactly is a minister. They (the reformers) “attacked the idea that the priest had special power to convert wine into blood, rejected the idea of apostolic succession, encouraged clergy to marry, revised the liturgy to give the congregation more participation, and abolished the office of the bishop and reduced the priest back to a presbyter.” (Ibid. pg. 127). Unfortunately, they hung onto many of the practices that had been handed down to them from all the years of human traditions, and still upheld the one-bishop rule idea, just now putting a different title on it. The reformers recovered the biblical idea of the priesthood of all believers in regards to salvation and a personal relationship with God, but they did not incorporate this concept ecclesiologically – in other words, how it related to the church and church offices. The Reformers held to the belief that ordination (which was also adopted from pagan Rome) was the key to having power in the church and it was the ordained minister who could convey God’s true revelation to the people. – Luther – Luther, one of the Reformers, held to the idea that anyone who preaches needed special training. Like the Roman Catholics, “the Reformers believed that only the “ordained minister” could preach, baptize and administer the Lord’s Supper. As a result, ordination gave the minister a special aura of divine favor that could not be questioned.” (Ibid. pg. 129). The only group that opposed this were the Anabaptists, who claimed and practiced that every Christian is a minister and even has a right to stand up and speak in a meeting. Because of this belief, the Anabaptists received harsh criticism and even in some cases, persecution. – The title “Pastor” – The Reformers did not like using the word “priest” and so they began using the terms “ministers”, “preachers” and “pastors”. 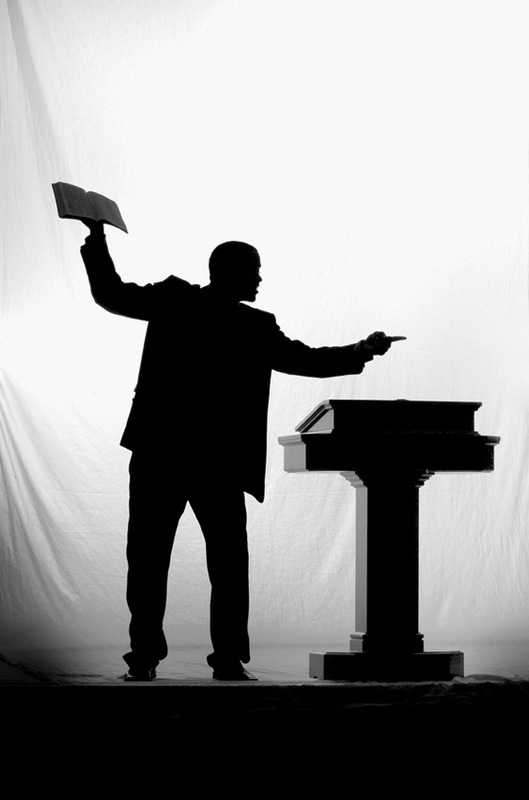 Finally, the term “pastor” came into common use, mostly from the Lutheran Pietists. And it has stuck ever since. We can see, after looking at this brief history, that we are still not back to the Biblical roots of what it means to be a minister. The Reformers started to get back in that direction, but tradition stopped them from going all the way back to the early church model. It’s interesting to note that the New Testament word for minister is diakonos, which means “servant.” As Russell Burrill says in his book Revolution in the Church, “Ministry is a verb. Ministry describes what church members do, not a segment of the church structure. The ‘consumer church’ attitude of today has turned the clergy into performers — providers of a certain kind of service — and the laos, or people of God, into customers who sit back to be served. This is not biblical. It is sub-Christian. It is the scandal of our time.” (Revolution in the Church, pp. v,vi). “We have taken the word minister and equated it with the pastor, with no scriptural justification whatsoever.” (Pagan Christianity pg. 135). Perhaps it’s time we take up where the Reformers left off and get back to the original place where God is at the rightful Head of His church, and we, as His bride and body, are on equal ground. We need to get back to the place where the only One lifted up is Jesus Christ. 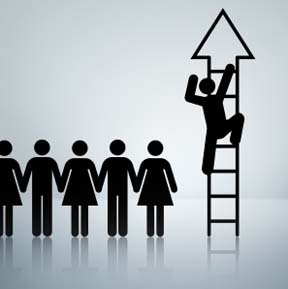 The way things are right now, it looks a lot like climbing the corporate ladder of success, with so many striving for the upper positions of status – positions that God never intended us to have. There are no Biblical references to the ways we do ordination today. The only thing that comes close to an ordination service in the Bible is an act known of as “laying on of hands.” Laying on of hands is only mentioned 26 times in the New Testament, and only involves 3 different circumstances. The most references speaking of laying-on-of-hands (12 different references), are dealing with acts of healing or blessing others. The next set of Biblical references dealing with laying-on-of-hands is referring to inviting the gift of the Holy Spirit to fall on a group of believers. There are only 3 Biblical references that come anything close to ordination in the way we practice it now (Acts 6:6 – the Seven commissioned by the apostles; Acts 13:3 – Paul and Barnabas commissioned by the teachers and prophets at Antioch; and 1 Timothy 5:22 – Paul instructing Timothy to be cautious in commissioning local elders). These three references are simply referring to a person or persons who are being endorsed to work for God, yet there is nothing magical that happens at this laying-on-of-hands ceremony, only an acknowledgment to what God is already doing and will do. We see that this Biblical act of “laying-on-of-hands” is an empowering and affirming ceremony, but in no way does it usher in or commence a hierarchical form of leadership and status. So where did the practice of ordination come from? As we’ve seen from the history of where the title and position of the pastor came from, the concept of ordination has very similar roots. The very first ordination service on historical records can be dated back to the 3rd Century. The historical description of the service shows a 3-fold ordination. This 3-fold ordination consisted of 3 separate ordination services and rites to 3 separate church offices: the bishop, the presbyter (elder), and the deacon. History also shows us where this idea came from. This concept of ordination, especially the 3-fold ordination, was a practice within the political Roman Empire at the time. Tertullian, who wanted to bridge the gap between the pagan society and Christianity, took this practice of ordination that existed within the political Roman Empire. He then introduced it into the Christian church, and therefore began to create a caste system within the church that mimicked that of the political Ancient Roman Empire. “The term “ordination” comes from the Latin ordinare, “to put in ordo,” with ordo meaning “row, rank, or order.” In ancient Rome, ordo referred to a category of people, as in the “order of senators,” distinguished from the plebe” (or common people). (Ordination in the New Testament? by Nancy Vyhmeister, Ministry Magazine, May 2002). In Rome you were either born into this system, or you could be, by ceremony, placed into the higher status or rank. The 3-fold organization among the Romans consisted of ordo into 3 different tiers. The first tier, or the top office of ordination, was given to the highest class of citizens/senators and was known as “senatorial”; the second tier, or middle office of ordination, was given to the class of knights and was known as “equestrian”; and the third tier, or last office of ordination, was given to a class of the common people and was known as “plebs”. Cyprian and Ignatius also joined the bandwagon and helped to take this Roman model of hierarchy and introduce it into the rising Christian church, all with the intent to make the church more organized and united. As this model of ordination was adopted into the Christian church, this is what it looked like: the 1st tier (or top position) consisted of bishops/pastors; the 2nd tier (or middle position) consisted of presbytors/elders; and the 3rd tier (or low position) consisted of deacons/common people. This practice within the church at the time separated the bishop from the common people. There were also other distinctions such as their clothing was now different to denote their higher position, and this rite of ordination was seen as being universal – meaning they would always be ordained for all time and wherever they went – once they were ordained, they would always be ordained. Not only that, but only the ordained bishop had the “authority” to ordain others. All of these separations and distinctions were not in accordance with Scripture at all, but rather mimicked the hierarchy of the Roman Empire. It’s interesting to see the similarities of ordination in our church today and how we are still tied in many ways to the traditional Roman practices of ordination – practices that are not Biblical. For instance, how long does it take for an ordination service of deacons and elders to take place? Not long at all – usually it is a vote by raising of hands by the congregation, showing their agreement of certain individuals to fill that specific office. That is then followed by an informal laying-on-of-hands ceremony that is conducted during the church service to show affirmation of their gifts. But it is not at all this way when it comes to the ordination of a pastor. There is a process that one must go through to be ordained as a pastor. It differs between denominations. Within the Adventist denomination it can look something like this: Be in ministry for 2 or more years and preferably be educated beyond just a Batchelor’s degree – preferably a Master’s Degree in ministry such as an MDiv, etc. During the ordination service itself we also see some of the ancient Roman ties of ordination showing up. An ordination service for a pastor is usually a separate service, not just an informal laying-on-of-hands that takes place with elders and deacons in a regular church service. Only those who have been ordained can ordain (by laying-on-of-hands) the candidate at the service – once again, we see the ties to the Roman tradition and not a Biblical position for this. After the ordination takes place, we also see a differentiation between the ordained and the unordained. The ordained minister now has the title of “Elder” instead of “Pastor” and there is a slight pay increase. In fact, many who are being interviewed for ordination, express a need to take care of their families with the pay increase that will come with being an ordained minister. Not only that, but there are other responsibilities that an ordained minister can partake of that others cannot, such as organize and unite churches as well as act as conference Presidents. (see The Seventh-day Adventist Church Manual). Seeing all this, we must ask ourselves: if we are “Bible-believing Christians”, why are we mimicking the ceremonious ranking of ancient Rome and participating in a practice that is not biblical at all? In closing, perhaps the reason we are having this debate in our church is because we are all, both men and women, participating in something that was never even ordained (no pun intended) of God. God is the only One Who is the Head. He never meant or intended His church to be one of human hierarchy. We all are ordained and commissioned of God already! (Matthew 28:18-20; Jeremiah 1:5). We don’t need a human being to say it to make it a reality. In fact, every single human being is already ordained for a divine mission and calling for this time in earth’s history. (Esther 4:14). No gift or mission is better than the others. 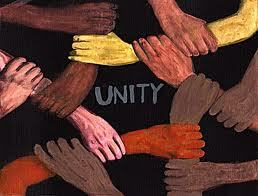 We all are equal, regardless of gender, race, title, job, education, culture, economics, etc. Perhaps the real reason why this debate is happening is because of the equality issue that man-made ordination has created. Perhaps it’s time to take ordination completely off the table, and return to the Biblical model of Christ being the head of the church, and all of us, both men and women, being equal under Him. Perhaps it’s time to return to the biblical model of “laying-on-of-hands” that brings blessing, healing, a prayer for the Holy Spirit, and affirmation – a model that recognizes our individual gifts, but also keeps Christ as the Head of His church, and not a human being. After this person told me I was going to hell, it made me realize, once again, that we have adopted so many man-made traditions and have assumed that these traditions are actually from God. When, in reality, He never set up a human hierarchy to be in the church. He is the Head, and has called and ordained all of us. It is His Spirit alone that enables us to do anything beyond ourselves. (Acts 1:8). I have been ordained already, and so have you. My title does not define me. Even if I were not a “pastor”, I would still be and do what I am – because I have been created for such a time as this – and so have you. Nothing can ever change that, except my own personal choice. I do not believe in a God Who will send someone to hell because they witness for Him but, alas, they have a different set of genitalia than the majority. Seriously? C’mon – I think we all know God is bigger than that. Jesus was radical. Perhaps it’s time we did something radical and laid aside our need, both men and women, for ordination and actually took Jesus at His Word – that He is the Head of His church and we all have been called to be His body to a world in need. Perhaps then every member would be empowered to be the minister that God already ordained them to be, and we would see LOVE actually embodied on this tiny planet we call Earth. Well said! I agree with you completely. Many of your same points can also be made about our current wedding service traditions as well. I believe ordination is too closely connected with hierarchy and privilege instead of spiritual recognition of a calling. If our church wants a gatekeeper process to allow only truly committed people into church leadership-then, fine. Create a process for people to follow-go go school, work, complete mission service, preach a certain number of sermons, baptize a certain number of people, set up a certain number of campmeeting chairs…recognize the truly committed for staying faithful with greater responsibility and a pay raise! But, keep ordination separate as a special laying on of hands by a church family on those in their group who are going out to do ministry. The church should then lay down this silly hierarchical title. We should all be prayerful about this. Perhaps paying believers for church organization and upkeep. Many become pastors so they can put food on the table and still minister, while others work elsewhere such long hours, it is difficult to minister except in their workplace. Neither men nor women should be put on a higher level. Both have a roll, but separate. As Christians we are supposed to reflect Christ. We are not to reflect a pastor or Pope, who are essentially other men. But as noted in the article, even Jesus recognized the worldly view of many cultures even today, which disrespect the opinion and the voice of women in general. We need to keep it in mind that certain individuals hear only a man as an athoritative voice, and certain others hear the softer more gentle message of a mother, wife, or women. Equal but supporting different rolls. I believe that very thoroughly researched reply is a pastor’s way of delivering an epic smackdown 🙂 I can’t think of anyone better gifted to be a minister than you Kristalynn, so never let them get you down and keep on focusing on what is really important! Hahaha! Thanks Don. So great to hear from you! Kristalynn, I really appreciate all the work you have put into this study and even more so that you have placed it where others can read it. With your permission (I hope), I plan to use a lot of this information as I teach and preach at my church. I believe going back to the original church plan of the early Christian church is really a great concept and one that is far more effective than what we traditionally have in our churches now. Hey Judy! (Which Judy is this again?) Of course you can use this info. The more who hear it, the better. Thanks! Terry’s mom — when are you coming to visit us again? I’d love to chat with you in person about this! Oh hey! Awesome! Yeah, I need to come visit again soon!